You Have A Bank. But You Need Mission Fed! , where your success is our bottom line. 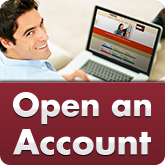 That means when you open an account, you’ll start to experience the Mission Fed difference: our special way of offering you the services you need to help you reach your goals—which we call Mission Fed Moments. We’re a local credit union that gives back to our customers and the community. 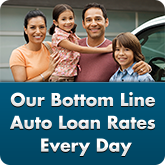 Mission Fed customers enjoy lower rates on loans and fewer fees because we’re not for profit, but for service. We don’t have stockholders controlling what happens. Any profits we do make get reinvested right back into Mission Fed, so we can keep saving people money and enhancing our services. We also give back to educational and other nonprofit organizations in the communities where our customers live and work. We’ve been in business since 1961, so you know you’re working with a stable, secure business that makes sound decisions in the best interest of our customers. Now we’d like to get to know you! Why choose Mission Fed video on YouTube - Description: The speaker is a Mission Federal Credit Union employee and is standing in a Mission Fed branch. Throughout the entire video, they address the camera directly. Please use the YouTube captions functionality to access an alternative to the audio portion of the video. 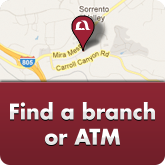 Chances are there’s always a branch near your home, work or errands. Plus, you have access to a nationwide network of 30,000 fee-free CO-OP ATMs, including most 7-Eleven stores. And you can call and email our Contact Center, Monday through Friday 7a.m. to 7p.m. and Saturday 9a.m. to 1p.m. Ready for more savings and better service? Then you’re in the right place. 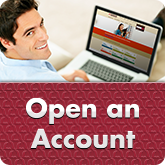 Open an account online now. Or call us at 800.500.6328, email membercare@missionfed.com or visit any branch. 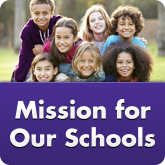 Experience the Mission Fed difference, where you’ll see that your success is our bottom line. All accounts and loans are subject to approval. Programs, rates, terms, conditions and services are subject to change without notice.